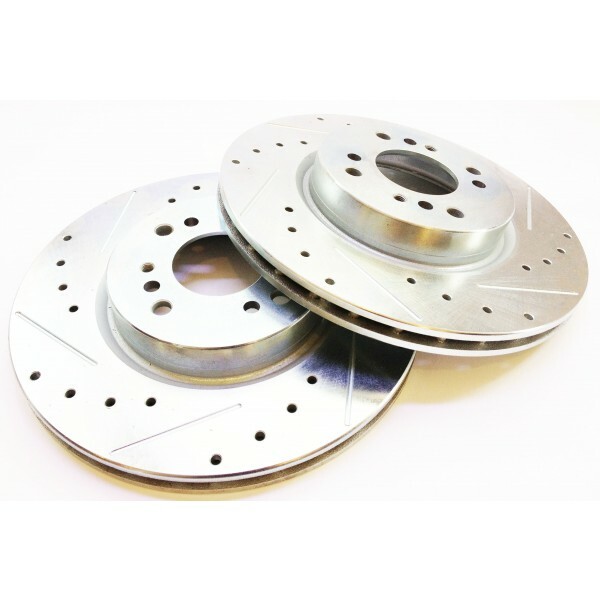 *Do you want Drilled & Slotted or Blank Rotors? 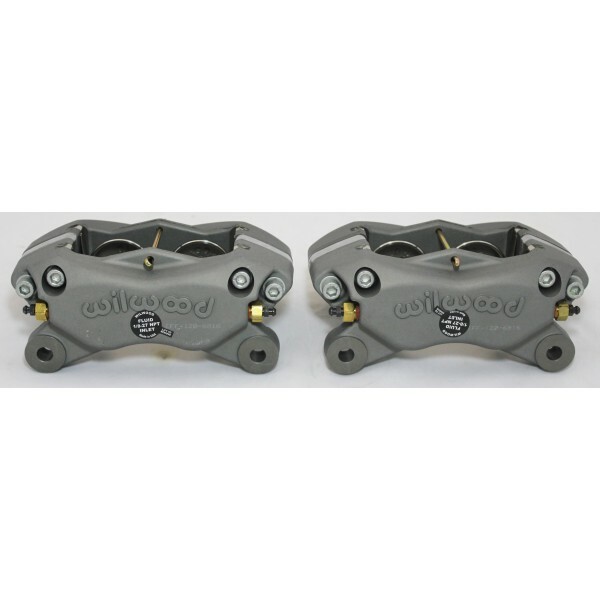 *Do you want Red powder coated calipers? *What pads do you want? 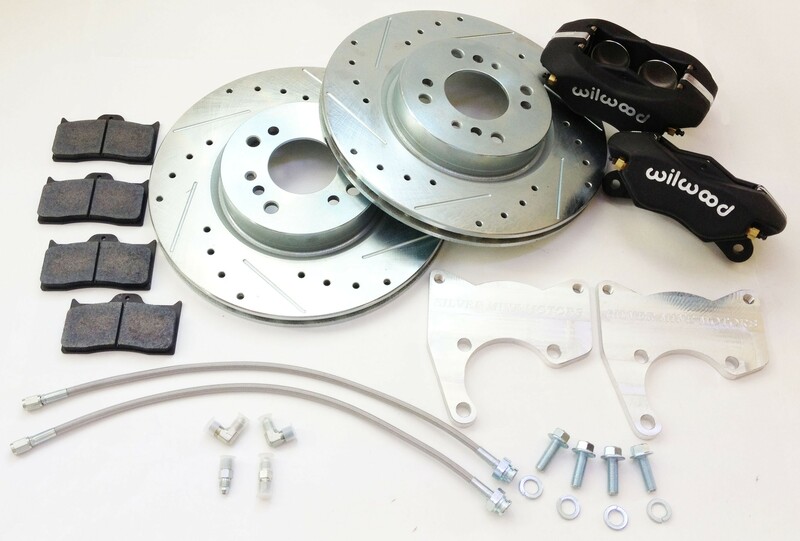 Wilwood rear brake kit for 240z 4 piston calipers. 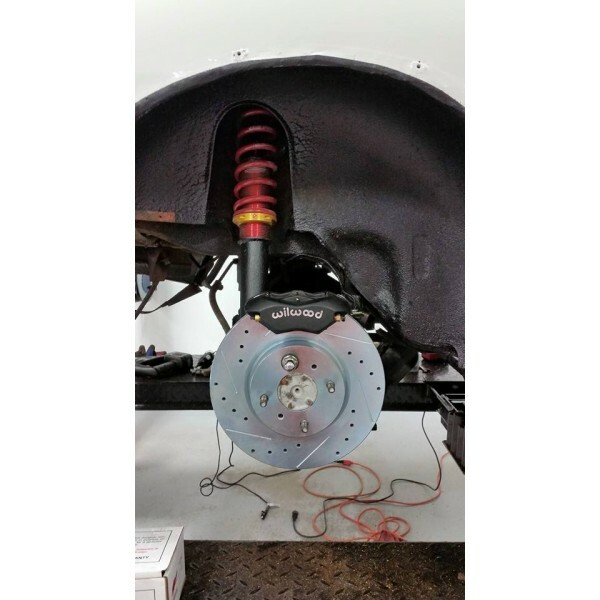 Our most powerful rear brake upgrade for the 240z, 260z, and 280z! This is a complete kit. There are no other parts needed to complete the installation. Installing is very easy, and can be done in less than two hours. 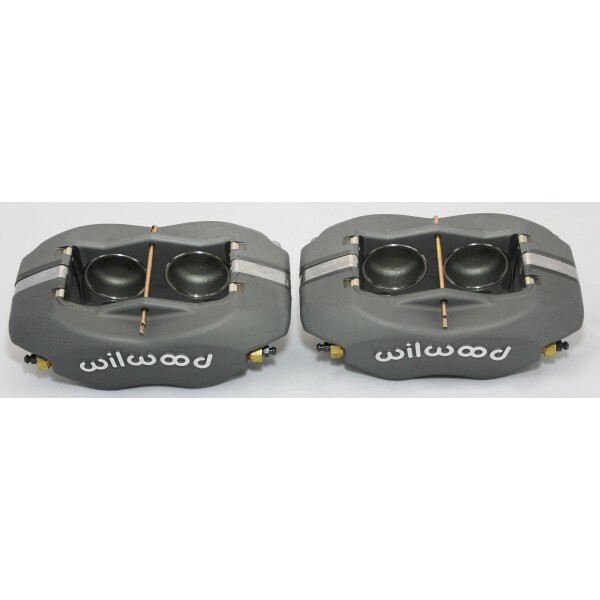 The lightweight Aluminum 4 piston calipers weight only 3.4 pounds and have 41mm diameter pistons. 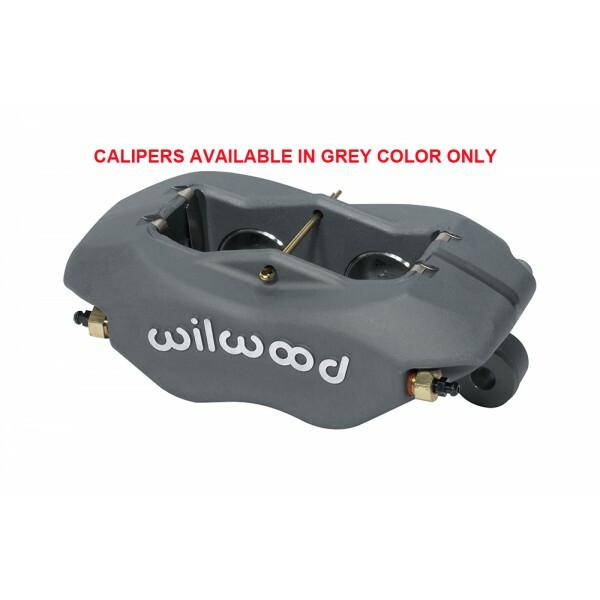 These calipers are available in many local auto parts stores, so replacing them is not a problem (part number Wilwood 6816). 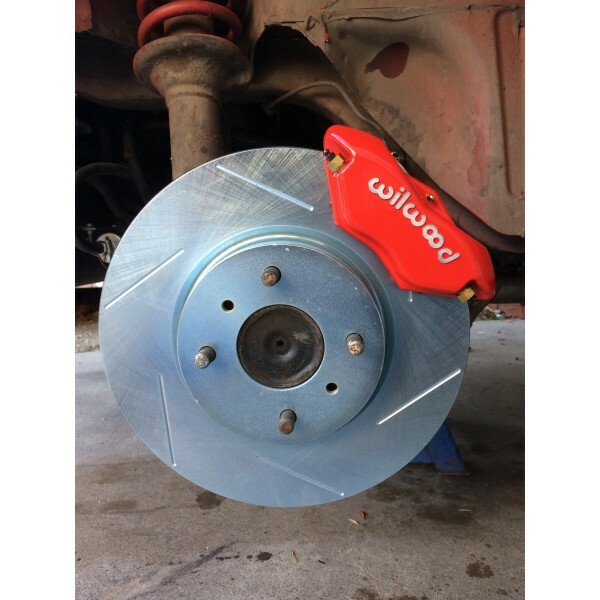 The vented slotted and drilled rotors are professionally built with CNC machines, and zinc plated to prevent rusting. 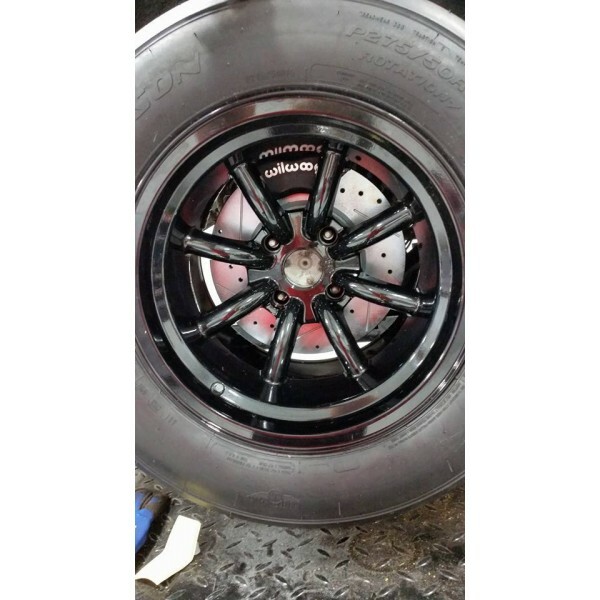 They can be bought at any local auto part store (2005 Nissan Sentra SE-R front Brembo rotor). 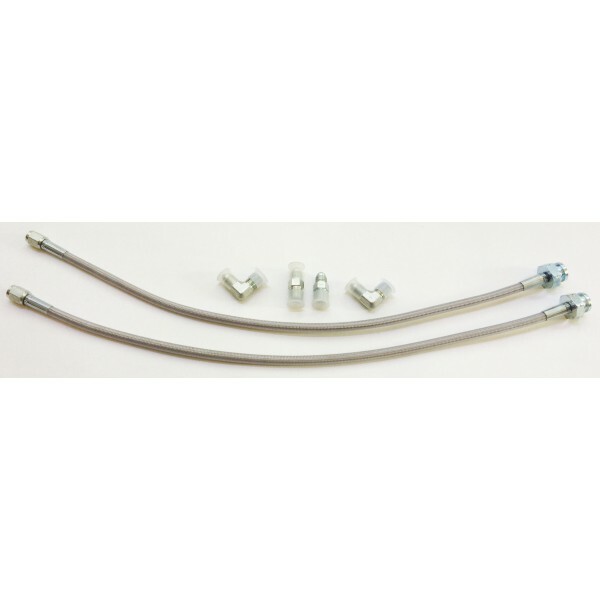 The steel braided brake lines are custom made to fit this brake kit for easy installation. 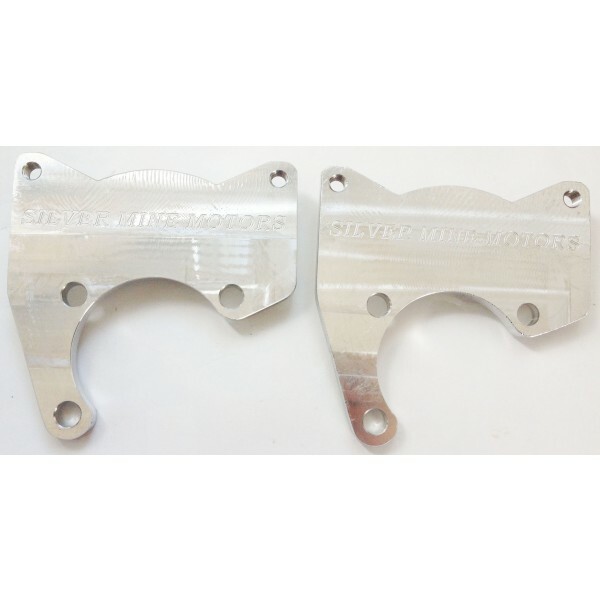 The Aluminum caliper brackets are made of the highest grade of aircraft quality aluminum on the market T6061. These brackets are very light and extremely strong. They will never rust or corrode. 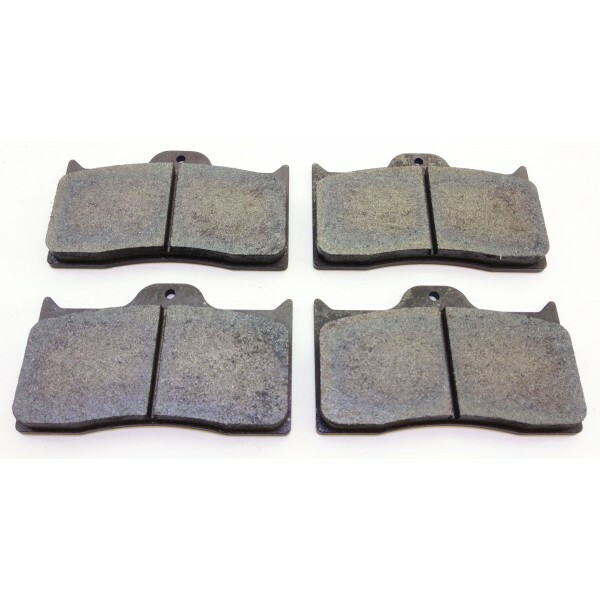 You have the choice of getting performance street brake pads or race only pads. 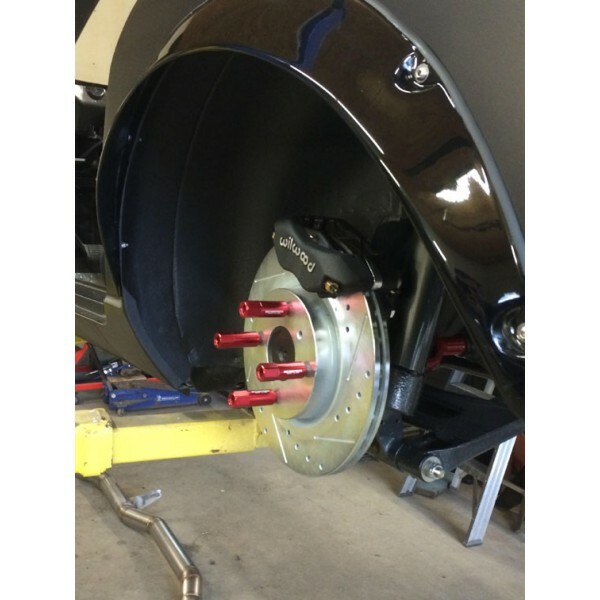 I personally have this brake kit on my 280z and it made a big difference, my car now stops on the dime. 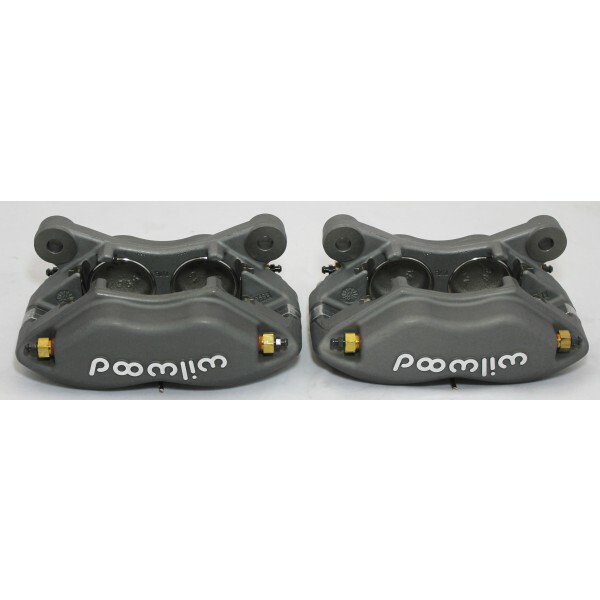 This brake upgrade is also extremely lightweight; it will help reduce the amount of unstrung weight. 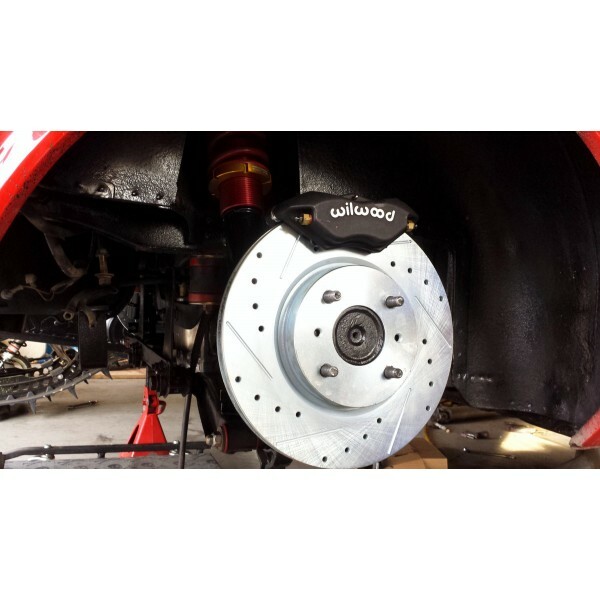 This is important since it will allow your suspension to react to road conditions much faster than with heavy cast iron calipers. Your car will handle better and be more predictable. 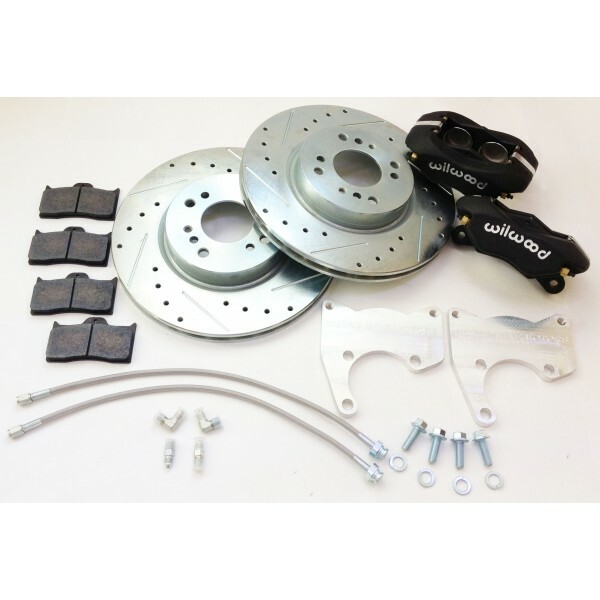 Over all it’s a great brake kit that will make your Z stop faster and better than you could ever imagine! 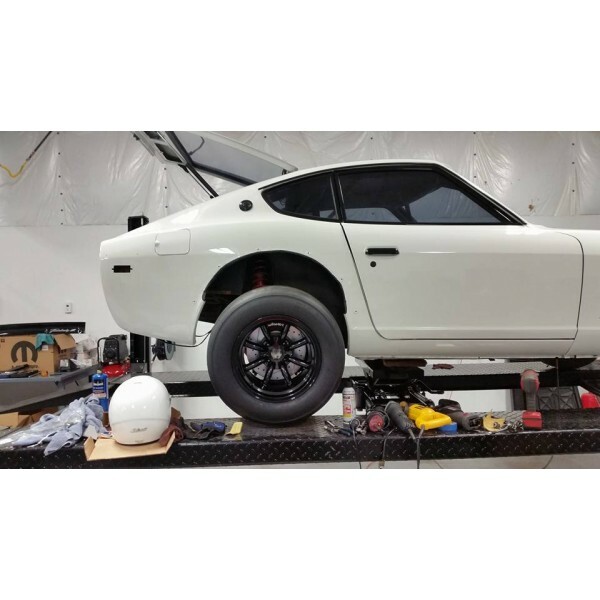 Note: Requires 15 or 16 inch wheels. You also have to grind your stub axel diameter down by 1MM to fit rotors over. This kit does not have E-brake capability.